hd00:09Bridal Bridal Wedding Bridal. Accessories for the bride on shoes. 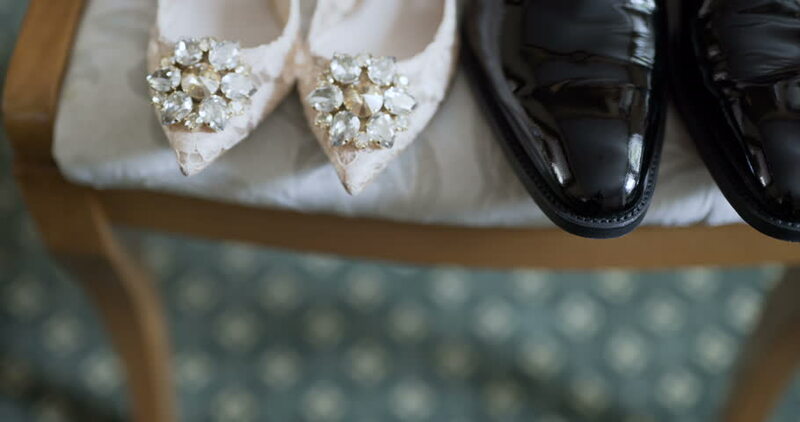 Wedding rings and earrings on shoes.